Students will create a small bird from red clay and add their own details and textures. A second class will allow students to glaze the fired piece to add color. This sculpture will need a second firing before it is returned to the artist. 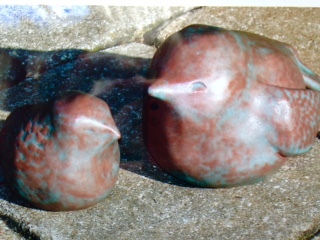 Clay birds are suitable for gardens but must go indoors for freezing temperatures. Fill out my ckass sign up form.